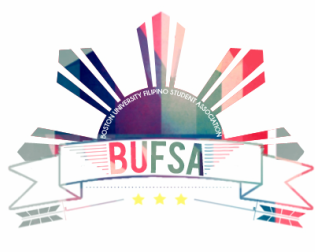 Executive Board - BUFSA: Mabuhay! The BUFSA Executive Board is an integral part of the club’s foundations at Boston University. Composed of ten talented, diverse students, E-board is responsible for planning, organizing, and executing everything associated with BUFSA — club meetings, guest speaker series, dance practices, intramural sports, and our two cultural shows: Kamayan in the fall and ISA: The World is One in the spring. They also keep BUFSA connected with District One and the greater Boston community. Click here to check out our past executive boards! What are you looking forward to most being on e-board this year? ​ Making sure that the club continues to receive the same amount of leadership support from the Eboard as it did when I was a member. What are you looking forward to most being on e-board this year? ​ Our future hangouts and photoshoots!! Also, obviously be successful with our major events this school year. A fun fact or two! I speak Spanish. I love the color pink. What are you looking forward to most being on e-board this year? ​ Meeting new people and getting to know other boofs more! Also being more involved in Kamayan and ISA! What are you looking forward to most being on e-board this year? The 20th Anniversary of ISA in the spring! Along with that, working with such a motivated group of individuals and meeting even more great friends through the club! What are you looking forward to most being on e-board this year? ​ Meeting the new people and isa!! What are you looking forward to most being on e-board this year? ​I'm looking forward to see our family grow bigger, because BUFSA has a lot of love to give for each other and to one another, because anyone and everyone is our kapamilya!